Hailstones on the BBQ roof ! The Championship of the Dee is the victor ludorum award for the main rowing event in Aberdeen. 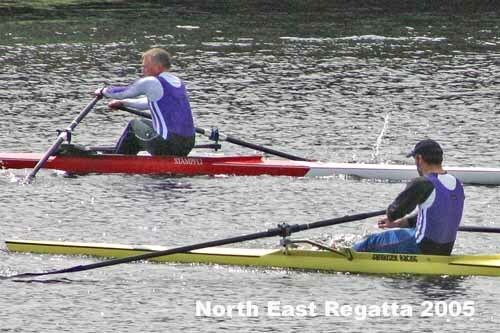 It is calculated over both days of the North East Regatta. Each winning finalist in an event earns his (or her) club two points. Runners up (losing finalists) are awarded one point. 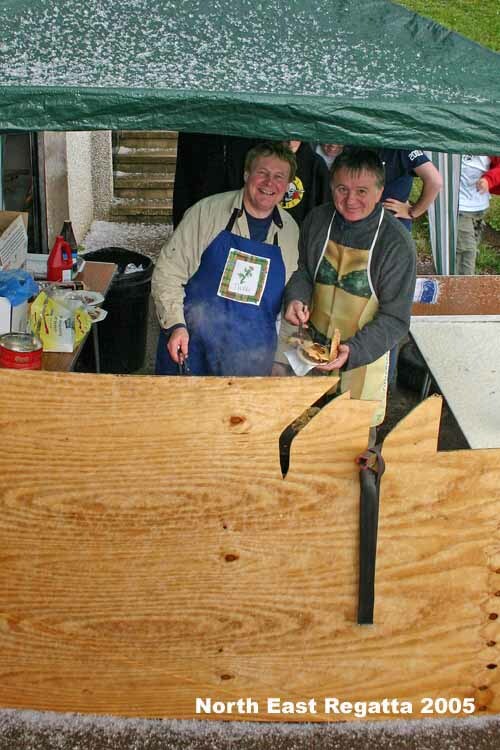 After two years of winning the Championship of the Dee, ASRA were knocked into second place by a large entry from ABC. The ABC team almost swept the board on Sunday amassing a total of 116 points on that day alone. ASRA won the sub award amongst the Junior clubs with George Watsons in second place and George Heriots in third place. 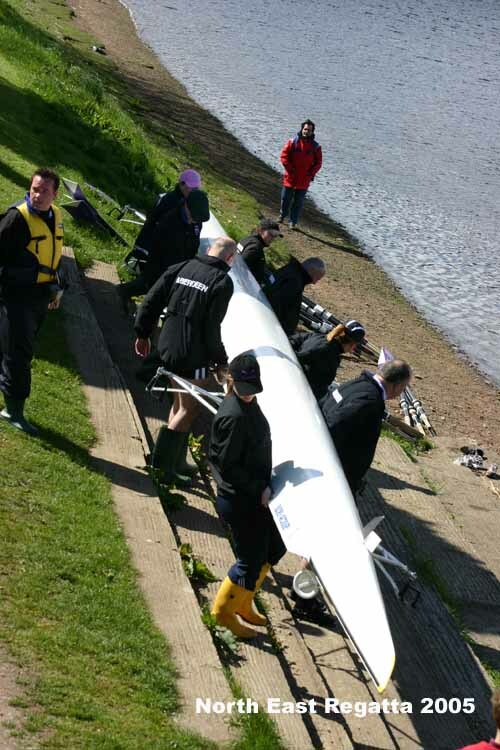 All the junior events take place on Saturday but ASRA’s three lonely entrants on Sunday (Michael Chalmers, Jamie Steel and Atholl Wallace) all won points, pushing their club one point ahead of the joint third placed clubs AUBC and Inverness. Inverness was the largest non-junior entrant at this year’s regatta and they won points across a wide spectrum of events – Colin Sinclair earned them one point for a runner-up place in Mens J-16 single sculls whilst his senior and veteran clubmates scored a number of wins over both days of racing. It was good to see EUBC competing at the North East again. A solitary crew of “EUBC Medics” (do they have different sub-groups for each faculty?) won Mens R2 Fours on Saturday.